The Abu Dhabi Grand Prix weekend wasn't just about F1. The two feeder series - GP2 and GP3 - reached their respective season crescendos, and unlike F1 still had their titles hanging in the balance at this advanced stage. 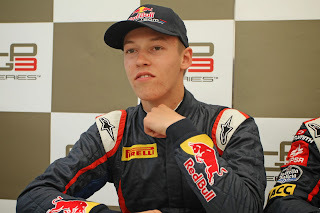 In the event the GP3 championship title was taken by one Daniil Kvyat. The same Daniil Kvyat who has recently been confirmed for a race seat at Toro Rosso alongside Jean-Eric Vergne next season. Few at the time of the announcement saw Kvyat's selection coming; Antonio Felix da Costa as far as most looking in from out of the camp were concerned was a shoo-in for the drive. But perhaps it's one of those decisions that - if such a thing is possible - should simultaneously surprise us and not surprise us. We've seen before that when it comes to choosing those to promote within the Red Bull young drivers' programme that candidates can be skipped over, sometimes dropped altogether, rather pitilessly. We've also seen that the Red Bull collective is not shy of making decisions - such as with picking Daniel Ricciardo over Kimi Raikkonen to partner Sebastian Vettel in the big team next year - that do not appear the obvious ones to outsiders. Many got cynical at Kvyat's accession, stating that it was all about money. There's a Russian Grand Prix next year after all, and someone worked out that in that vast country the soft drinks market was worth $14.5 billion in 2011. But just like with the Ricciardo decision, despite cynicism there is evidence beneath the exterior that this selection was in fact made for all of the right reasons. Broadly the feeling within the Red Bull young drivers' programme is that Kvyat is the most talented of all of them on the way up, with tremendous natural pace allied to other skills: Red Bull it seems decided to cut to the chase by throwing him the keys. Helmut Marko has spoken highly of Kvyat's 'talent, passion and work ethic', Toro Rosso boss Franz Tost has spoken in glowing terms of his brain power and ability to perform under pressure, while Kvyat's technical feedback given in the Silverstone young drivers' test for Toro Rosso in July apparently also seriously impressed. As for the risk of a young man such as him evaporating under the sheer glare of being a F1 pilot, Marko has also noted that Kvyat's mental strength was a key reason for his being selected. And - as mentioned - he's just won the GP3 championship, and did so despite having to juggle his efforts with F3 outings this year too. Add in the fact that the heir apparent da Costa had a disappointing year in FR3.5, and the decision was sealed. And to repeat a point that I laboured after the Ricciardo decision became public: we should not forget that Red Bull has much more information and data on these guys than we do watching on. Perhaps too the final two GP3 races of the season that took place in Abu Dhabi - the first rounds since his Toro Rosso step up was announced - will sway one or two of the doubters. Kvyat clinched the crown with a fine dominant win (dare I say, rather reminiscent of a certain other product of the Red Bull school) and he then followed it up with two well-executed passes - in a series not known for its overtaking right now - on his way to finishing fifth in the race the next day. As for F1 being a harsh business, particularly in who gets drives and who doesn't, and there being more deserving drivers than there are slots on the grid? Well, that's not a new thing. 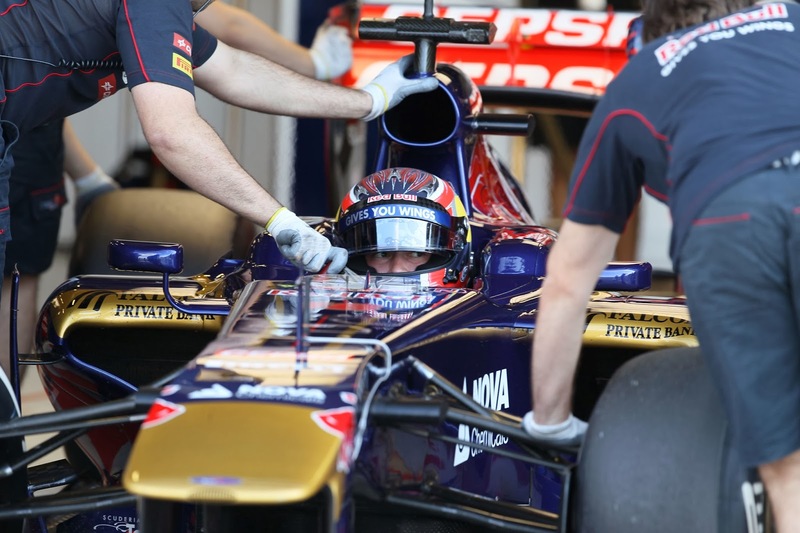 On the matter of the 19 year old Kvyat being too young and raw to take full advantage of this opportunity? Well, again, starting out at his age is nothing new, and some of the parallels aren't bad for Kvyat: come the opening round in Melbourne next year Kvyat will in fact be older than Fernando Alonso was when he made his F1 race bow, as well as a matter of days younger than Vettel was. And such youth in F1 is even less of an exclusive modern day phenomenon than that: Chris Amon was a grand total of four days older than Kvyat will be come Melbourne when he debuted in the 1963 Belgian Grand Prix; Ricardo Rodriguez was younger when he raced in the 1961 Italian Grand Prix. The sport's history is full of examples of drivers starting young, and/or having meagre experience from junior formulae when they got their step-up, and proceeding to have highly worthy F1 careers. I also don't know how many have spotted the irony that even though the modern habitual complaint is that young drivers aren't getting their chance in F1 these days, that on this occasion that one does it seems plenty of us can nothing but complain about the fact. It's just the latest example that it's next-to impossible to please the F1 observer.